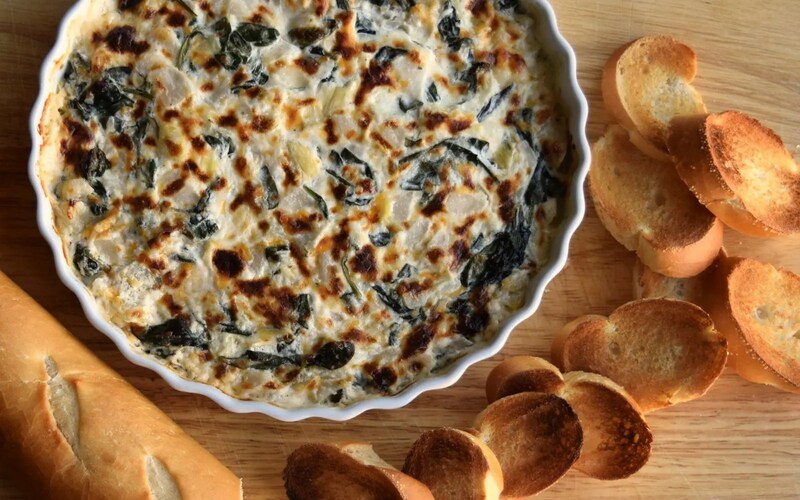 Spinach and Artichoke Dip is always a party staple. And oh baby, this is a good one! For me a good dip has to have the right combo of flavor, texture and color and this one gets an A+ in all the subjects. As an added plus, it’s quick to whip up. A couple of weeks ago I sent my husband a text to pick up some marinated artichokes. In a heart beat he texted back “Oh boy! 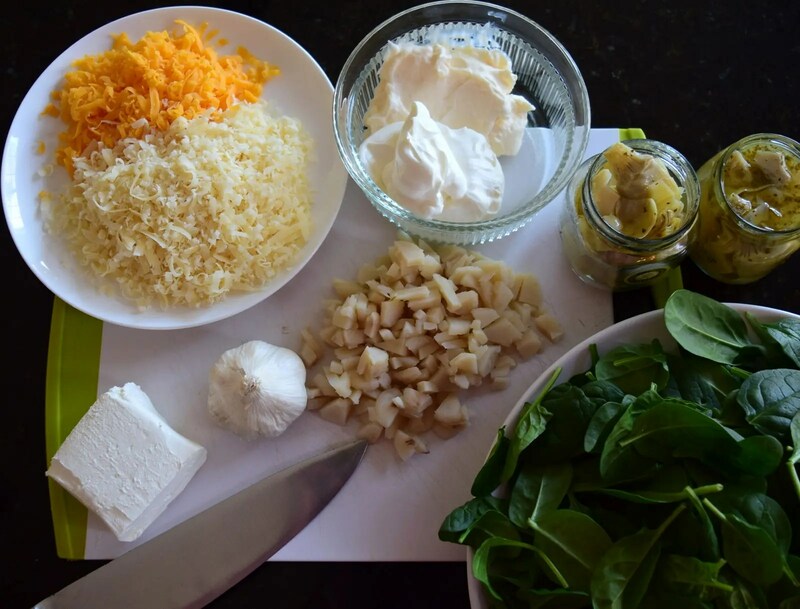 You’re making THE dip, right?” Yup, I was making THE dip! 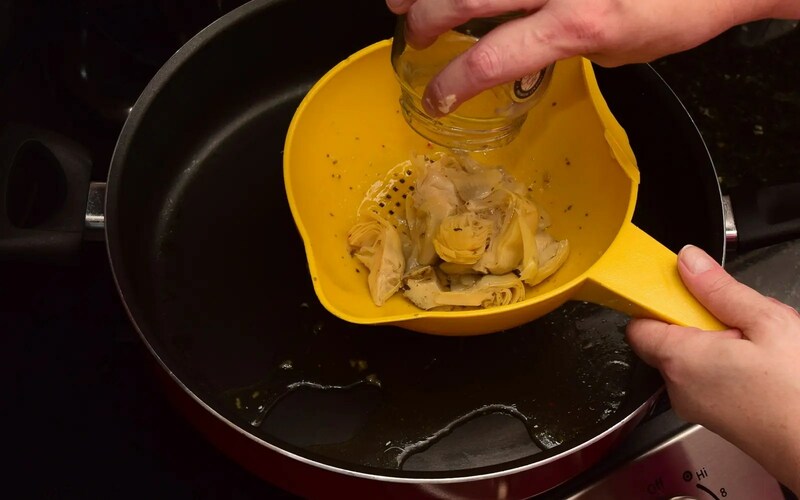 I start by draining the liquid from one of the jars of artichokes into a large saute pan. Notice my ancient Tupperware strainer, complete with melty edges from being too close to the heat a time or two! I love that strainer. I add the garlic and spinach and over medium heat and cook until the spinach is wilted. 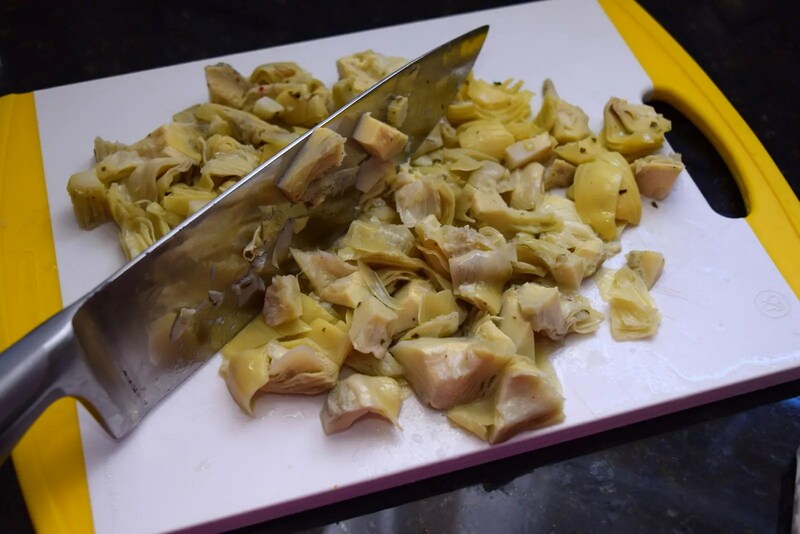 I do a rough chop on the artichokes, not too small not too big! Then I do the same thing with the water chestnuts. Then mix up the whole kit and caboodle in a large bowl. Transfer to a shallow 9 inch dish. Bake in the oven until bubbly and brown! 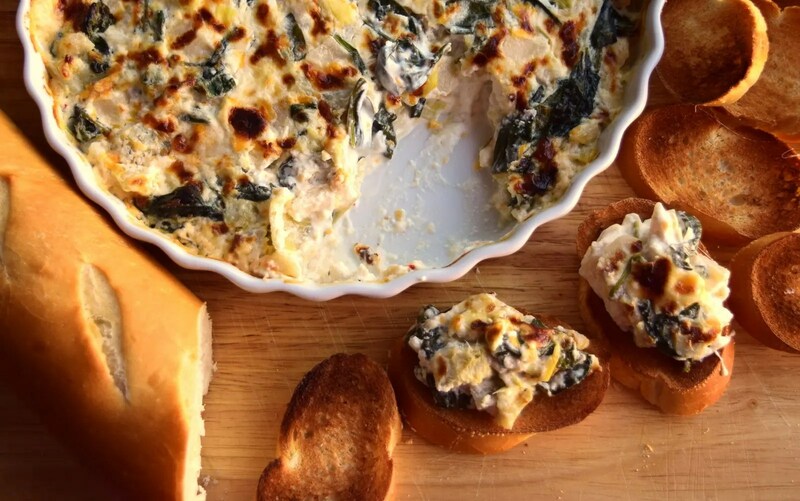 I like to serve with toasted baguette slices, but crackers, pita, and even veggies work fabulously too! In a large pan on medium heat, heat the liquid from ONE jar of the marinated artichokes. 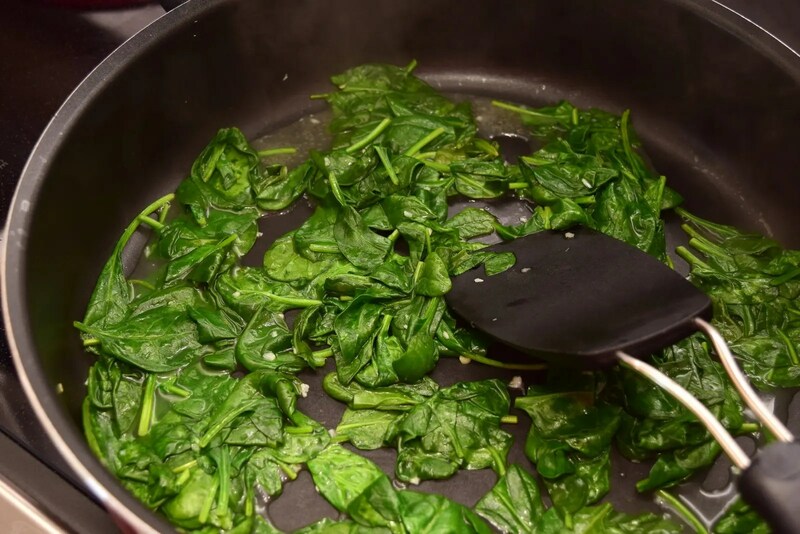 Add the crushed garlic and spinach and stir until the spinach is wilted. Remove from heat and set aside. Drain the remaining jar of artichokes (discard liquid or save for another recipe) and chop the artichokes from both jars coarsely. Also coarsely chop the water chestnuts. 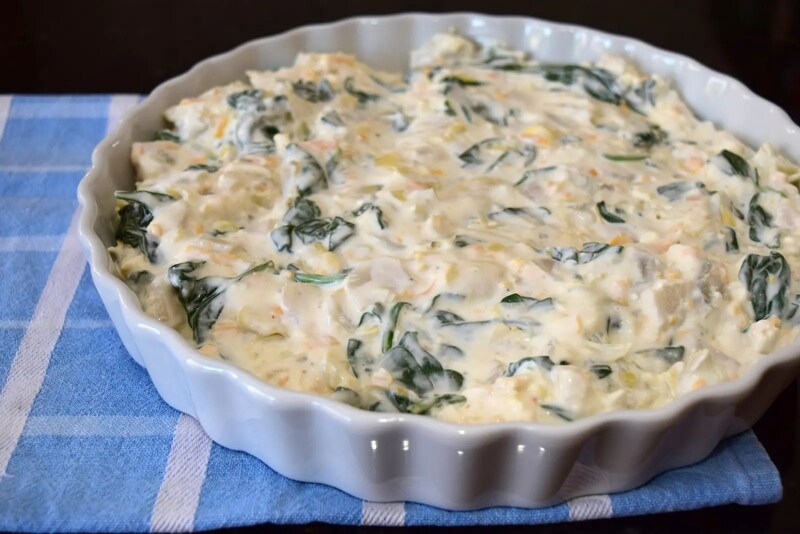 In a large bowl mix mayo, sour cream and cream cheese until smooth. 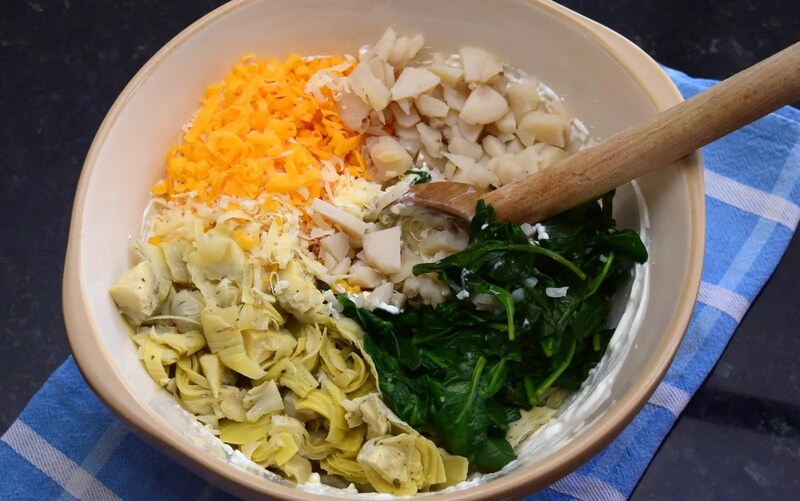 When smooth add in the Parmesan, cheddar, artichokes, water chestnuts and spinach mixture. Mix thoroughly. Transfer mixture to a shallow 9 inch dish and bake in the oven at 375 for about 30 minutes or until mixture is bubbly and hot and top is lightly browned. 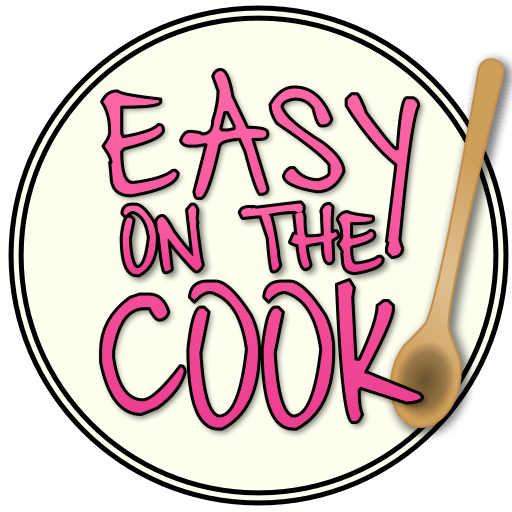 Patty is this the recipe you made for the party? Where did you get the artichokes? Yes! And thanks for stopping by the blog. You can buy the artichokes at both Gene’s and Safeway. Usually in the pickle section.